William (Bill) was born in Hettinger, North Dakota and left us on March 12, 2019. He was 86 years old. Survived by his Wife Maurine and three children, Cheryl, Colleen and Chris. Bill served in the Korean War and was honorably discharged. He received his bachelor’s degree from Portland State University and received his master’s from the University of Oregon. 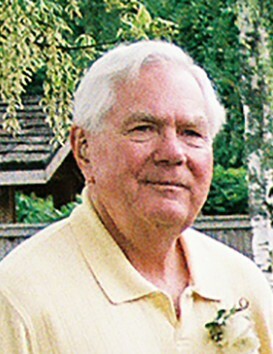 Bill was a speech pathologist for the Gresham school district. He was always service oriented and helped everybody he could. He was in the Lions Club for over 30 years and served his community through out that time. When he retired from work, he delivered meals on wheels. Throughout his life, he always had a smile on his face and knew how to make all those around him laugh. Bill is greatly missed and loved by his wife, Maurine, his three children, eight grandchildren and 10 great-grandchildren. On Wednesday, March 20, 2019, Bill will be inurned at Willamette National Cemetery at 10:00 am followed by a memorial service at 12:00 pm at Holman-Hankins-Bowker & Waud in Oregon City.